Save this summer with a new air conditioner! Every homeowner in Ontario can now benefit from a range of energy-saving rebates for the entire home! Our licensed and certified technicians always provide quality, friendly service and honest pricing. We handle your needs promptly and efficiently for any furnace repair, after hours heating service. We know that that being comfortable is very important! That’s why we have an expert team in Waterloo and Halton Region to help you with your Air Conditioning repair, maintenance and installation needs. We work with commercial builders as well as commercial buildings. We provide full service HVAC support to our clients. We handle your needs quickly and efficiently for emergency furnace repair, after hours heating service. APS – Air Pro Services has over 15 years of experience in providing GTA homes and businesses with quality heating and cooling services at affordable prices. APS specializes in the installation, maintenance and repair of HVAC / R systems, which includes air conditioning systems, furnaces, boilers, ventilation, gaslines, fireplaces, coolers and commercial freezers. Spring into Summer with Air Pro Services and don’t let allergies stop you this Summer. Call today to see how we can help you have better air in your home. APS has been Providing Quality Air Conditioning, Heating / HVAC Service to the Kitchener & Waterloo Region and helping many breath easier. All of our HVAC professionals are fully insured and fully licensed. Our years of experience and training means we can provide you with quality service regardless of the project’s size and scope. 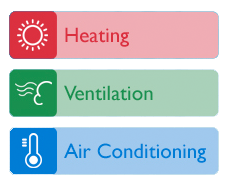 We work with each of our customers to assess their specific heating and cooling systems and provide the right solutions to their specific needs. We work with all makes and models of air conditioning, heating and other HVAC equipment. Also, our 24/7 emergency service ensures that nobody is left in the cold (or in the heat)! We provide our full line of services to the Kitchener, Waterloo, Cambridge, Milton and Guelph region. Whether you’re a residential customer, looking to fix an air conditioning system or a commercial business looking to install a full HVAC system, we can provide you with the right sized solution for your specific scope. Our estimates are free with no obligation. APS – Air Pro Services has over 15 years of experience in providing homes and businesses with quality heating and cooling services at affordable prices. APS specializes in the installation, maintenance and repair of HVAC / R systems, which includes air conditioning systems, furnaces, boilers, ventilation, gaslines, fireplaces, coolers and commercial freezers.